A couple of months ago , the Art From Scrap Creative ReUse Store opened up more floor space to increase our Bulk Section. What that means is more cool stuff at fantastically affordable Art From Scrap prices. 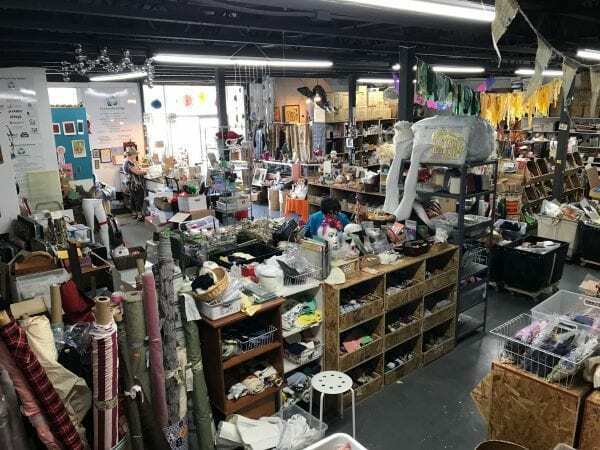 From party supplies to collage materials, candle holders to burlap coffee sacks, fine jewelry to a mecca of fabric and sewing supplies, retro/vintage/antique- Art From Scrap has just the thing you need! Patrick, Carol, our new employee KC, and I are here to help you find what you are looking for! Open shop hours: Thursday and Friday 11-6, Saturday and Sunday 10-4. New staff member, KC! Welcome! 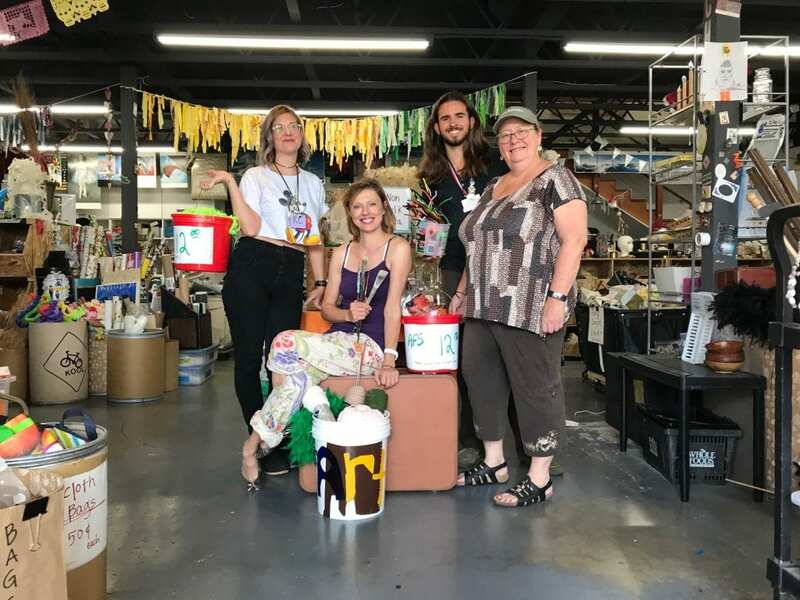 Thank you so much for donating to our Creative ReUse Store! 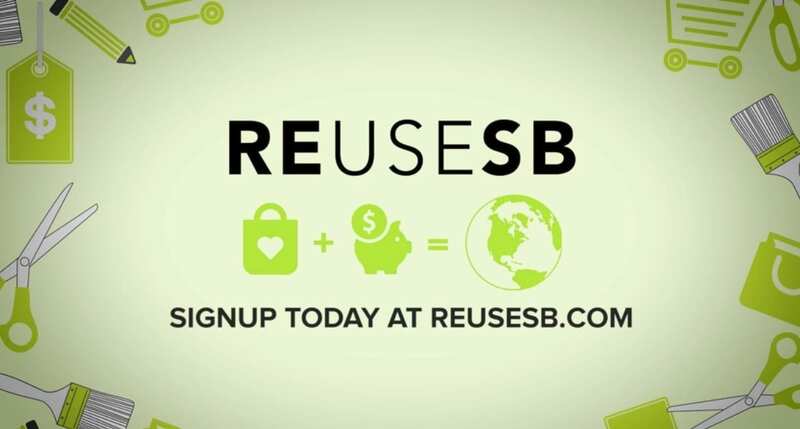 We love accepting items from you and keeping materials out of the landfill. 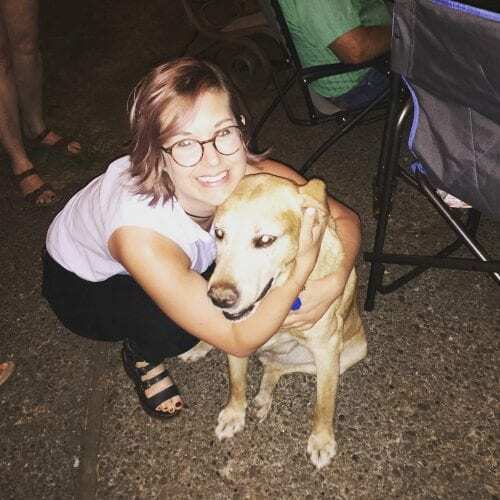 Items we are not accepting as donations: plain tile, picture frame glass, unlabeled art supplies, housewares, and fabric scraps that are smaller than a half yard. Please check our list of items that we do and don’t receive on the Art From Scrap page of the Explore Ecology website. We have a very thorough list to check out! Also, if you own a business, or know someone who does, and you think they may have a business donation for Art From Scrap, please let me know by emailing me at: Tara (at) ExploreEcology.org. Fun: We love this kid! “This place is fancy!” -6 year old Art From Scrap shopper.